IT professionals oftentimes must work with reduced budgets, especially for smaller or newer businesses. However, that doesn’t mean they have to sacrifice quality or performance in their server hardware. Many turn to buying HP used servers or buying IBM used parts. There are plenty of advantages to buying used but also some risks. We’ll list the pros and cons here to help you make an informed business decision. • Reduced Cost: Obviously, buying used means you aren’t paying full price for a brand-new product. The savings can be significant too, sometimes up to 80% off for business-grade equipment. Newer or smaller companies benefit greatly from used and refurbished markets. • Longevity: Unlike their consumer-grade counterparts, computer and server parts intended for business and enterprise are engineered to last longer. Thus, even used components should last a decent amount of time. • Low-risk Shopping: If you’re buying from a reputable reseller, the components you buy should come with warranties. HP itself has a list of authorized resellers on its main site, and buying HP used parts from one of them guarantees you’ll receive an updated and supported product. • Consistent Performance: Computer components, from graphics processors to CPUs, generally don’t degrade in performance over time, even with use. Buying used, as a result, should not compromise on your business’s operations. Storage drives are an exception, as they can degrade over time and generally aren’t recommended for the used market. • Environmentalism: Buying used means the component isn’t thrown in the waste and can continue to be used. • Support: High-profile brands will also provide technical support and maintenance parts for several years even if they’re used. Buying IBM used parts is common for this reason. • Risk: Unauthorized resellers, such as casual sellers on eBay or Amazon aren’t always trustworthy. The parts they sell might not be in fully working condition, and damage for some parts can’t be seen with the naked eye. Always check on the marketplace’s return policies. • Obsolescence: Buying an IBM used part implies the item isn’t from the current generation, meaning it might lack newer features or performance offered by newer products. • Longevity: While business equipment tends to last, buying used still means they won’t last as long compared to newer equipment. This is especially the case for storage drives as mentioned. Hard drives can suffer mechanical wear-and-tear damage over time, while SSDs naturally degrade as data is written to them. • Support: Warranties and technical support aren’t always guaranteed, particularly from unauthorized resellers. • Compatibility: CPUs and motherboards generally go together, as a CPU from one generation might not work with a motherboard from another. Availability of compatible parts in the used market is purely up to what people are willing to sell, so finding something that fits isn’t guaranteed. As mentioned, buying from a reputable seller is a great way to reduce risk when it comes to buying used IBM parts or otherwise. 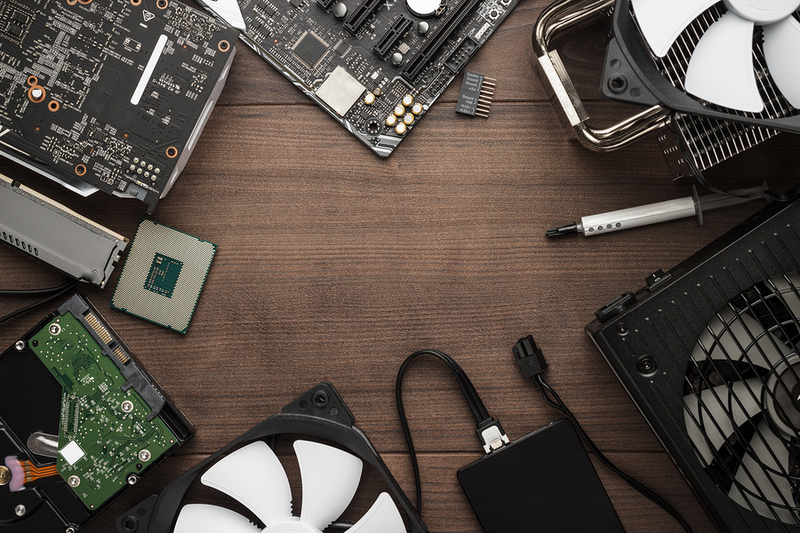 IT professionals looking to save some of their budgets without compromising on component quality should look to Network IT for used or refurbished parts. Network IT has been serving businesses across Toronto and the GTA for over 2 decades. We sell competitively-priced server and networking components with one-year warranties and excellent customer support. • IT workers, when working with reduced budgets, may turn to the used/refurbished market for computer components. • Buying used lets you save a ton of money while still receiving support and warranties, assuming you buy from an authorized reseller. However, the parts might not last as long and buying usually comes with risks. • Network IT is your company’s ideal source of used networking equipment. We offer one-year warranties on every networking component we sell.